Step-by-step, easy-to-follow guidelines for setting up and maintaining records for your building business. This practical guide explains all accounting methods builder's typically use, and shows how to meet state and federal accounting requirements. Recommended reading for many state contractor's exams and each chapter ends with a set of test questions. This e-Book is the download version of the book in text searchable, PDF format. Craftsman eBooks are for use in the freely distributed Adobe Reader and are compatible with Reader 5.0 or above. Get Adobe Reader. Step-by-step, easy-to-follow guidelines for setting up and maintaining records for your building business. This practical guide explains all accounting methods builder's typically use, and shows how to meet state and federal accounting requirements. It clearly explains depreciation rules, and describes how the Tax Reform Act can affect the way you keep records. Designed for the construction office, this e-book contains charts, diagrams, simple directions and examples, to help you keep track of where your money is going so that you'll hopefully be able to keep more as profit. Recommended reading for many state contractor's exams and each chapter ends with a set of test questions. This Reference is for builders, contractors, subcontractors, and anyone in specialty trades. It's geared to the problems builders have in maintaining a good set of useful books. Company sizes range from one-man operation all the way up to some of the world's largest corporations. The smaller the business the more need it needs economical record keeping. A business operating out of a small office on a tight budget often can't afford full-time bookkeeping and accounting services. Since the bidding is so competitive, the small operation with the lowest possible overhead will be most likely to bid with larger companies, win contracts, and make a profit. Just like an outfit which wastes material and manhours, the operation that depends too much on expensive professional services, can't compete with an efficient shop. I'll provide step-by-step suggestions for keeping books and records, and won't burden you with unnecessary terminology. I'll explain the examples in detail and use illustrations to show how to simplify the process of maintaining a good set of books. This book isn't for accountants. It's meant to help the owner or manager of a construction company save money and time by getting involved in much of his or her own record keeping. You can use the information immediately. Without revamping your books all at once, you should be able to streamline gradually and still have all the information that you and your accountant need. And you can adapt these suggestions to the needs of your operation. Every business is different, and no one method will work for everyone. In the beginning, you'll probably need to spend some time developing the ability to use your financial information to your own benefit. But in time, you'll only need a few hours each week. You'll be a better-rounded businessperson when you're involved in the development of your own financial information. You don't need an accounting background to keep your own in-house books. You do need the desire to be involved, to increase your understanding, and to cut your overhead. When you can look at a financial report and use the information in it effectively, you'll have added a new dimension to your management skills. Then you can comfortably leave preparing the financial statements and tax returns to your accountant - your financial subcontractor. Now let's answer the question posed by the chapter title: Why Keep Records? Builders have to keep books just like other business owners. But yours must be especially complete and efficient. Today's construction contractor is operating in a complex industry, and a good set of records is as necessary as any modern piece of equipment. You know that when you estimate the cost of a job, a major part of your bid is for labor. Imagine how few contracts you'd win if your labor was twice as expensive as everyone else's. The same holds true for a bookkeeping method. The less time you have to spend, or pay someone else to spend, the less it will cost you to keep your books. Reducing your cost (while achieving maximum efficiency) is the goal of a well-designed bookkeeping system. If you can reach that goal and still have the numbers you need, you'll have a good set of books. And you'll definitely save time and money. The law requires that you keep financial records. As a result, many builders think of their bookkeeping as a necessary evil, and nothing more. But if you can make good use of the financial information in your books, you'll be a more informed manager. The more insight you develop, the more effective you'll become. That's why people maintained complete business records in the United States long before the income tax even existed. A set of books should tell you everything you need to know in the least complicated way possible. The fewer papers you have to push, the better. A method should contain just the right amount of information - no more and no less than you really need. This guideline is one often forgotten by business people - accountants included. A method that gives you too little information isn't going to save you time. Sooner or later, you'll have to go back and fill in the gaps. Imagine working from a blueprint only half completed or a set of specs with missing pages. If you don't have it all, you're wasting your time. On the other hand, a method with unneeded features will be time-consuming and expensive. Whether you do the work yourself or pay someone else, it's costing you. A good method doesn't have any fat. The following is an overview of a good accounting system for builders. Each component will be discussed in detail later in this guide. The sales journal is a detailed record of all your income from operations. You need this detail for financial statements. It also provides a good way for you to see how you're doing compared to last year, last month, or last week. The comparison of income to past performance is very important to you in planning. No matter what direction your business takes, you should have an idea of your probable cash flow - how much cash will be coming in, and when. You can't make informed plans unless you know your future income potential. Keeping track of sales also gives you the information you need to back up what you report for sales tax (if your state levies a sales tax). Sales records are also needed for some insurance reports, Census Bureau reports, and other forms you have to provide to various governmental agencies. For example, some states collect a tax based on hauling and freight operations income. A sales journal breaks out this type of sale and supports what you claim when you file a report. Verifying reported information is one important support feature of a set of books. Good sales records are also helpful in finding the right market for your services. Because there are so many different kinds of contracting markets, you must know which ones will let you compete most profitably. You must develop an understanding of the financial effects of providing or not providing a particular kind of service. For example, you might assume you're making money in one type of work. Good records will help you determine exactly how your company is doing in that area. The result will help you decide which types of jobs are best for your company. Sales records should provide information on specific jobs as well. There is more than one way to account for income. Picking the best accounting method to use can have a dramatic effect on your financial statements and tax liability. Don't just leave these decisions to your accountant. When you understand reporting methods and their consequences, you'll be able to evaluate alternatives yourself. Naturally, you need to know who owes you money. Your method of keeping track of receivables is important to the accuracy of your billings, your collections, bad debts, and financial statements. Contractors have special problems with receivables because there are considerations such as retainages. You need to account for these withheld amounts separately from your normal trade receivables. And Census Bureau reports for many of the trades require information on accounts receivable. Many builders run into their single largest bookkeeping problem when it comes to keeping track of receivables. It takes a lot of record keeping and a lot of time to keep up a customer ledger. Finding a good method isn't always easy. Many apparently good ideas for saving time actually result in a greater workload, while providing you with less control. It's easy to come up with "improvements" that actually result in duplication of effort. Not only will you waste a lot of time writing down the same information two or even three times, but you soon lose touch with the real purpose for the work. When you send a bill for work after the job is done (instead of receiving cash immediately) it's inevitable that you'll never collect some of your receivables. Surprisingly, many builders are very casual about doing work on credit. If your volume increases greatly over a short time, it's important to took at bad debt statistics critically. You might discover that the percentage of total receivables that go bad is increasing. Understanding the direction your bad debts are going gives you two advantages: you can budget for them and take the steps necessary to tighten up on collection procedures. This could reduce your bad debt losses. When you check historical information on receivables and bad debts, you may discover a trend. But without detailed accounting information you won't have a clear picture of the direction you're going. You need more than a general familiarity with your own business affairs to make important decisions. You've got to have the facts, and understand the trends. Knowing where your money goes is important for controlling direct costs and overhead. And besides controlling expenses, you need to come up with a good way to analyze costs by job. Your billings, which are based on actual spending, require 100 percent accuracy. The check register is a listing of all checks, with expenses broken down into categories. It's important to write up this record each month, or even better, each week. It would be foolish to wait until the end of the year to construct a check register for the previous twelve months. Considering the number of checks most businesses write in a year, there would be no hope for any effective control this way. Good controls require timely information. Watching from month to month where you're spending money gives you the information you need when you need it. Your accountant needs updated information to post your general ledger. Your analysis of budgeted and actual expenses must show a current total each month. The check register is essential for balancing your bank account as well. Like most good sets of records, a check register should be flexible. You can set it up to provide a foolproof method for checking the accuracy of your math. This requires listing all check amounts twice - once in a "total" column and again in a category of accounts column, such as "materials" or "office supplies." This is one case where writing something twice isn't a wasteful duplication of effort. A double listing gives totals for all expenses and also shows expenses by category. To collect direct cost records by job, many builders make copies of invoices for the job file, or recopy the information from the check register. This is duplication of effort. Both of these methods waste time and accumulate incomplete information. Instead, break down your check register by job to save time. Make your check register the primary control tool. The check register is also a primary source of other important information. Your check register can be arranged in many ways. The method you use should fit your business. Your books and records, if efficient and flexible, can be worth the investment you make in them many times over. Complete payroll records show you labor costs by job and provide information essential for union reports and payroll tax returns. Many of these records are required by law. Your records, in addition to being useful, should be designed to meet the legal requirements. Otherwise, you'll spend extra time going through and reorganizing your records every time a payroll report is due. A necessary part of payroll bookkeeping is organization. Breaking out information by job can be difficult if you have to start from scratch to construct a report for each different kind of information you need. Here again, you can avoid the cumbersome and lengthy paperwork so often seen in payroll methods. Too few builders attempt to track their actual labor costs by job. Many contractors base their billings on a fixed rate per hour worked by each classification of employee. This method has obvious shortcomings. A truly useful and efficient method computes the actual cost at the same time the payroll is prepared and checks are made up. All payroll (except overhead payroll like the office staff) should be assigned to one or more job categories. That way you immediately know your direct labor cost. Job categories should include not only those for large bid contracts, but for various one-time jobs, shop, maintenance, or idle time. Don't depend on your bank to keep your check- book straightened out. Balance your bank account every month to be sure how much cash you really have. It's not hard to balance a bank account, although many builders think it is. The secret of breezing through a bank account is having a good money-handling method and understanding exactly how your method works. Having your accountant balance your bank account is poor practice and an unnecessary expense. No one knows your checkbook as well as you do. After all, if you add up your own bank deposits, pre- pare your own checks and figure all the math, who's better suited to prove the balance? And if you make yourself responsible for this job, the side benefit is that you're likely to work more accurately. You won't have to find so many mistakes at the end of the month. Some builders hardly ever balance their bank accounts. That's a dangerous omission. You may suddenly discover that you don't have nearly as much cash as your checkbook shows. Errors can accumulate over the months or years. By the time you discover the problem, it could be too late to correct it without embarrassment. There is no "good" time to be out of funds. You might even discover that you have more than you thought in your bank account. While this might be a nice surprise, it's less likely, and can still have a negative effect on your business. You might miss an opportunity if you mistakenly think you don't have enough cash to finance it. Don't assume that the bank statement's ending balance shows your true cash condition. The bank statement doesn't reflect checks that haven't cleared. Unless you balance the account, you don't know the real balance. It doesn't always occur to business owners to check the statement for bank errors. But everyone should do this. Banks, and their computers, are run by humans who can and do make mistakes. It's up to the business owner (and bank customer) to discover these errors. Do yourself a favor, and spend a little time to check their work. You may be lucky and never find a mistake. If that happens, stay with that bank. You might not know how lucky you really are! You need a thorough, step-by-step procedure to follow. I'll outline a procedure in this guide. If you follow A the steps completely, the bank account will balance every time. The only way to learn is to do it yourself. Once you're used to it, the whole procedure will become quite routine. Most builders need a cash fund for the little expenses that come up from day to day: C.O.D. deliveries, postage due, coffee and donuts, a newspaper - expenses too small to write out a check for. But you may be amazed at how much cash you can spend in a month from a small office fund. Setting up a controlled petty cash fund is the best way to control these disbursements. In a petty cash system, you "vouch" for all expenses by replacing cash removed with a slip of paper (a voucher) that explains the reason for the expense or lists an account number and gives the amount. This fund should contain enough cash to suit your needs. If you run out often, the fund is too small. But keeping too much cash around the office isn't a good idea. So find the smallest amount of petty cash that's right for your business. You should be able to add all the cash and the vouchers in the cash box at any time and arrive at the defined petty cash fund balance. You can expect occasional minor over and short problems, but a well-controlled fund will always be in balance. Document fully all of your expenses - even the petty ones - so you can take the full tax deduction you deserve. Few builders can operate without owning some machinery and equipment. Depending on your specialty, you may need everything from carpentry tools to multi-axle trucks. The money you spend on tools and equipment is most likely your largest investment. Good equipment records supply information for financial statements, property taxes, capital gains and losses, motor vehicle reports, and depreciation. Your equipment records can also supply direct cost information, if the data is organized and available. Your records should let you calculate the hourly cost of owning and operating your equipment. Each job can then be charged appropriately for its share of the equipment cost. This is essential for determining the profit or loss on each of your jobs. Your equipment cost will also have an effect on how you plan for the future. Should you lease or buy heavy equipment? How much use will you get from a piece of equipment, and will that use justify the investment it will require? When you prepare bids on future contracts, you must know how much per hour to charge for operation of equipment and machinery for those projects. The fixed, necessary expenses of being in business are often considered to be uncontrollable: rent, telephone and utilities, shop and office supplies, insurance. You should have some way to plan for these expenses because planning can help you control your overhead. Control of your overhead is important when estimating future jobs and will often make the difference between profit and loss. Your record of past overhead expenses is the best indication of what you can expect in the future. A good budget for overhead expense will serve as an important guideline for month-to-month planning. Trying to stay within a realistic budget will almost always lower actual expenses and increase profits. Builders who don't budget their overhead expenses invariably spend more on over- head than those who examine and control them. Job estimates are often prepared in a hurry and under pressure. But estimates require both attention to detail and accuracy. You have limited time to familiarize yourself with the proposal and come up with a profitable but competitive bid. The method you use to figure labor time, material cost, overhead, and profit must guarantee accuracy. Otherwise, your bid may be successful but you could lose money on the job. Following a set procedure on every bid will save time and assure better accuracy. Use the same formula for every bid to make the entire estimate fall together smoothly. Document your costs so you have both historical data and current knowledge. This is the best way to assure yourself that the bid will yield a reasonable profit. To have this confidence in your estimating, your books and records have to be organized to supply the kind of accurate information you need in a hurry. The best estimators use carefully prepared past cost records to back up their conclusions. If, like many contractors, you work on several jobs at one time, you can only know how you're doing if you keep cost records for each job. Your right to progress payments depends upon these records. Accuracy is required to support your charges. Use by-the-job records to examine your cash flow and profits. Your method should be complete and consistent. Since you're the one person most in touch with your operation, you're best qualified to keep these kinds of records. And you're the person most likely to get useful information from them. Compare the costs for each job against your estimate. Modify your planning and estimating expectations accordingly. Doing this will help you develop valuable historical information which you can use in the future. You may find that your profits from one job are being eroded by two others, even though you thought you were doing well on all three contracts. A builder can't tell how he's doing on each of several jobs with- out good cost records for all of them. Cash received and paid out in a business does not reflect the whole financial picture. Bills you've sent out are income, even before the cash comes in. And the bills you owe are direct costs or operating expenses, even before you mail the checks. These billed accounts are very real parts of your financial picture at any time. Your books and records are only summaries of cash which has changed hands. The true and complete picture of your operation has to include adjusting entries. These are called accruals. It is generally a good idea to let your accountant handle these entries, as well as the actual general ledger recordings of all your financial activities. But you should understand what is accrued, and why, so that you can set up records to help your accountant establish accurate accruals. He or she can't make the correct entries unless you maintain good records. Too often, accruals are only estimates. You'll be forced to understate your accruals if your records can't support the actual numbers. You don't have to become a professional accountant to know how to break out the significant figures in your books. This book will help you increase the quality of all financial records your company maintains. The chart of accounts is a numbered list of the accounts on your general ledger and operating statement. It tells at a glance the financial categories you maintain. Numbered accounts simplify your record keeping and provide a shorthand method to apply costs and income. There is a common and fairly standard order for listing accounts within categories. While each business has its own unique needs, most use a few basic accounts. Construction contractors, more than most other businesses, have a large number of account categories that are unique to the industry. You should understand how the chart of accounts is organized. As you become more aware of the uses and potential for your own records, you might want to create additional categories to help you keep track of certain key expenses. Within one set of books and within one company, it's possible to have integrated accounts for a variety of jobs kept under separate accounting methods. A good chart of accounts is descriptive enough to keep these figures separate from each other and yet supply important overall information necessary for reports. Financial and operating ratios are very useful to builders and contractors who understand their meaning. These ratios show the month-to-month trend of your business. These trends are useful and revealing financial statements themselves. It's hard for you to learn everything you need to know about your business by looking at the monthly numbers. Ratios let you divorce yourself from dollars and cents and follow instead the trend of your business. Ratios help you find the good and the bad situations and show the relative health of your business. It takes only minutes to figure your own financial and operating ratios but they can speak volumes about how you're doing each month. Most business owners don't know how to read financial statements. But nowhere is the skill of comprehending a statement so important as it is in construction. Builders who don't understand simple accounting practice and the usefulness of financial statements are ripe for failure in their business. You must make effective use of your own internal reports and involve yourself directly in record keeping. And you've got be able to understand your own financial statement. This includes knowing the statement categories - where the numbers come from, what the account titles mean, and what the classifications on the statement are. You have an accountant, so you don't have to master the mechanical skills of double-entry bookkeeping to gain this knowledge. You don't want to become an accountant, but you do want to be able to read the statement you're paying for. Preparing financial statements is a routine chore when the books and records are complete and efficient. But a financial statement can be useful in many ways. For instance, a statement that compares this year's performance to last year's is valuable for finding out whether your management skills are producing profits and whether your financial health is improving or declining. Another type of statement shows your income, costs, expenses, and profits by comparing them to previous data using different accounting methods. You can prepare statements of income or loss by job so you can compare the value of different types of work and different size contracts. Current statements are essential for performance bonds and loan applications. An impressively complete statement is more likely to result in a needed loan being granted, simply because more than enough information is available to answer any questions a banker might want to ask. Small Business Administration (SBA) loans require extensive historical and financial information. Your past records must serve this purpose. Complete, accurate applications result in less processing delay. Any good set of books will yield the financial statements and reports needed for insurance companies, governmental agencies, and bankers. There may be special considerations in your business that dictate changes in the way you keep your books. By the time you finish this book you will learn many techniques that can improve the way you keep your business records. First, the way you keep records should be unique, designed just for you and your particular operation. Second, it should be as flexible as possible to allow for increases in volume and sudden changes in requirements. Third, there should be no room in your system for unneeded work. You may come to a point where no manual system is good enough to take care of your payroll or your receivables. At that point, do you hire more bookkeepers and accountants? Do you struggle on with what you have, and hope for the best? Do you get in touch with a computer service? How do you decide? And whatever your decision is, can you justify the cost? This manual is intended to help you make decisions like this. Just as some jobs could require over-investment in machinery or too large a labor force for you to manage, your bookkeeping system could be inappropriate for your individual needs. Review your system periodically. How often depends on you. Your opinion of a review's importance will be reflected in the efficiency of your operation. Your own personality, then, is a major factor in any review. As small business computers became affordable and software (programs) got better, more and more builders have automated their accounting routines. A number of versatile and easy-to-use accounting programs are on the market as well as a good variety of affordable hardware. You can decide to put only some functions on a computer, or the entire system. A specialized program will give you good mathematical controls, and help avoid the struggle with balancing the books from one month to another. In some cases, a good program makes the job easier to under- stand and manage; others simply make it easier to store a lot of information on a disk for quick and easy access. Before deciding to automate, consider the number of transactions you handle every month. Are there enough to justify using a computer? If not, you should know that a computer won't replace human effort, nor will it clear up accounting problems you're having now. Automation is designed to manage information. If that's your goal, then a computer will save you money every month. But some builders have regretted the decision to automate because they didn't understand how a computer works or the advantage of using a computer. It isn't necessary to put all of your accounting functions on a computer. Some fully integrated pro- grams are designed to manage everything for you. But more affordable, specialized routines can help you manage key heavy-volume areas such as accounts receivable, purchasing, payroll, or job costing. The traditional argument often promoted by the manufacturers of computers themselves, is "you must get a computer in order to remain competitive." That may be true when time becomes a critical factor. But for the daily routine, it isn't always the case. Buying a computer always requires an investment in time as well as money. It takes time to master any new accounting system. Unless the program ultimately saves you a great deal of time, you won't recapture your investment. Be sure before you buy that you have critical need for accounting on an automated system. If you approach the problem from that point of view, you're less likely to buy something you don't really need. Appendix C has some suggestions that may help you decide if you really need a computer. Tax reform has complicated the way builders keep their books and records. The Tax Reform Act of 1986 was the largest overhaul in tax history. And there's more to come. From 1981 through 1986 there was a major new tax bill every year. Tax reform seems never-ending, and Congress continues its constant debate on major changes. This means accounting rules are also subject to change every year. You can't set long-range policies with any certainty, and estimating after-tax net income is virtually impossible. Your accounting system is affected by changing tax rules. Rules for accounting methods are more complex than ever, and any planning you do today may require change next year or the year after. Many business tax breaks have been discontinued. You can no longer claim the investment tax credit, once a major benefit of investing in equipment and machinery. Capital gains are no longer taxed at favorable rates. And depreciation schedules have been lengthened. To further complicate your accounting, many of the provisions that were changed under the 1986 tax law are sure to be revised in the future. An overhaul of that scope is never the end of the story. Within two months after passage of the bill, members of Congress were discussing the next step in tax reform. Today, reform ideas center on massive revision. There are even proposals to replace current laws altogether. Since part of your accounting is forecasting, the changing face of taxation definitely affects your future profitability. At the same time, the uncertainty of future legislation means you can't depend on this year's rules being in effect one, two or three years from now. Even assuming that the present rules remain intact, it's not easy to figure out what a phased-in change will mean in terms of future tax liabilities. I'll suggest a solution: Keep efficient, complete records of all transactions and do solid planning for the immediate and foreseeable future. Find and use a reliable, professional tax expert, either your accountant or a tax specialist. A book you should find helpful is . It has 125 forms for construction contractors, including two dozen accounting forms. You can copy and use the forms from the book, or load them on your computer from the enclosed disk and customize them to meet your needs. Only you can decide what kind of records you want to have in your construction business. But keep in mind that your accounting professionals depend on your books and records for just about everything they do for you. Sales, property, payroll, and income tax returns, financial statements, and reports are all based on the information you provide. A complete system will furnish the information your accountant needs, when it's needed. Advice is your accountant's most valuable service. That advice can only be based on your books and records. Make sure those records accurately reflect your business activities. The most common modern bookkeeping method is called double-entry bookkeeping. I doubt that any alternative method can be found to provide the same degree of bookkeeping control yet remain as simple to use. Training and experience are required to fully master double-entry bookkeeping, and you shouldn't expect to become sidetracked into a bookkeeping career just to manage your operation's affairs. But it's always smart and good business practice to know every aspect of your operation, especially the books, records, and management systems. The following overview of the double-entry method should help you better understand the rest of this book and 'give you enough bookkeeping knowledge to let you maintain and understand your own books and records. Double-entry bookkeeping is so called because every transaction requires two entries - one debit and one credit. Two entries provide an important control throughout the bookkeeping documents that isn't available with any other system. A debit is an entry made to the left side of an account, and a credit is an entry made to the right side. The total of all the debits always equals the total of all the credits. The total of all accounts will be zero if the general ledger is accurate. In other words, the debit balances (pluses) and the credit balances (minuses) of all account transactions will cancel each other out when the accounts are added up. Some accounts normally have debit balances, and some normally have credit balances. A complete summary of typical accounts and their balance types is listed below. Journal entries are created to change the balances in various accounts. A good example of a journal entry is shown below. Here, a builder wants to show the effect of bank charges on his bank account. He must reduce his cash account by the amount of the monthly charge. He must also increase his expense account for bank charges. The debit increases an expense account (expense accounts are usually debit-balance accounts) and decrease the balance of cash (also a debit-balance account). All entries to the general ledger - the record that summarizes all business operations - are made from journal-type entries consisting of equal debits and credits. These entries are readily apparent in a general journal. But entries from a cash receipts journal require a different format. One column represents the total of cash received. This becomes a debit (increase) to the cash account. Other columns, dividing the total into appropriate categories, are for credits to income, accounts receivable, and sales tax accounts. Debits and credits will always balance to zero. A cash disbursements journal (cash paid out) has several columns, as well. One column represents the total decrease to cash. This total decrease is entered on the cash account as a credit. Distribute the total decreases to various cost and expense accounts as debits. Again, the total of all debits and credits in the cash disbursement journal will be zero. Figure 1-1 shows the traditional ledger page. Debits are posted on the left side and credits on the right. The balance in an account - the net remaining amount when credits are subtracted from debits - is written under the last amount posted on one side or other of the account. Which side this is depends upon which side has the higher total amount. If the debits are greater than the credits, record the net total on the debit (left) side. If credits are greater, record the net balance on the credit (right side). Recording on the right side would result in a credit balance, or negative account total. Income accounts, liabilities, and net worth accounts usually contain net credit balances. Figure 1-2 shows the result of posting to a single general ledger account from several sources. The T- account - so named because of the letter "T" created by the lines - is used here to demonstrate this. The T- account is simply a way of separating debits and credits on a worksheet. You can use it to estimate the results of business before financial statements have been prepared. In the figure, the Cash in Bank account has received three entries. The debit (increase) came from the cash receipts journal and reflects all cash collected in one month. The decreases come from the cash disbursement journal (showing the total of checks issued in one month) and the general journal (where bank service charges were recorded). Several of the controls found in double-entry bookkeeping can be explained using the T-account summary as an example. First, the beginning balance and the ending balance of a cash account let you know how much is in the bank. These balances should agree with reconciled totals from the monthly statement the bank sends. Any errors or omissions by either the bank or your bookkeeper become apparent when the reconciled balance is compared to the general ledger account balance. The general ledger will be out of balance if there's a posting error in it or if the math has not been carried through correctly. In other words, the grand total of all debits less all credits will not be zero. When this is the case, it means there's an error, and you must correct the error before you can prepare the financial statements. No confidence can be placed in a general ledger that is out of balance. You or the bookkeeper can be certain that all posting has been done correctly only when the general ledger credits and debits have been added to get zero. Of course, since entries may be posted to the wrong accounts, diligence is still required in the posting process. No method can ever eliminate human error, but double-entry bookkeeping does provide the best controls against math errors. Throughout this book, many additional controls will be discussed in relation to the many aspects of double-entry accounting and bookkeeping procedures. The general ledger should not be burdened with large numbers of detail accounts, analysis and budgetary controls, or excessive detail of any kind. Keep secondary or subsidiary ledgers and accounts apart from the general ledger for these control details. Financial statements are reports which express information summarized from the general ledger. Their format is designed to pass on information rather than to control a large number of detailed transactions. Financial statements reveal the status, progress, and control you have exercised, and the degree of business that has been generated as a result. These statements are only as accurate, informative, and concise as the general ledger they're based on. A listing of liabilities and net worth and a total of those accounts. Both totals (assets and liabilities/net worth) will be the same number. Therefore, the two sides will balance. The income statement (also called statement of profit and loss or the summary of operation) lists income, direct costs, operating expenses, and profits. While the balance sheet lists the balances in asset, liability, and net worth accounts as of a specific date, the income statement reports the results of operations within a defined period (such as one month, one quarter, or one year). The statement of cash flows (or statement of provisions and uses of funds) summarizes the management of cash during a specified period. It shows how the net profits of a business have been used - payment of liabilities, buying new assets, or distribution to owners - in the course of business. It also shows the source of funds. Funds may come from operations (profits), from the sale of assets, or from outside loans. Owner may contribute additional capital, resulting in an increase of funds. The statement of cash flows is useful in judging the degree of management control you exercise over your funds. The double-entry system forces the user to perfect his entries before issuing accurate statements. If the general ledger is out of balance, the interrelationship of the three statements will be off. These relationships are summarized below. Assets must equal the total of liabilities and net worth shown on the balance sheet. The net income or loss must equal the increase or decrease to retained earnings shown as part of the net worth on the balance sheet. The increase or decrease in funds shown on the statement of cash flows must equal the change in current asset and liability accounts. Current assets less current liabilities at the end of the period, less current assets less current liabilities at the beginning of the period, must equal the increase or decrease in funds. The balance sheet reflects the value of a business in terms of properties and debts. All properties owned by the builder are subject to debts related to them. At the same time, part of those assets are truly owned. If debts, or liabilities, represent 60 percent of assets, and net worth 40 percent, that's a different picture than if liabilities represent 95 percent of assets, and owner equity only 5 percent. This comparison of net worth to liabilities is called a ratio. Ratios are explained in more detail in Chapter 23. The financial statements provide information for several useful ratios needed by bankers considering loan applications and by the builder in assessing his own financial condition. Accurate financial statements and the ratios drawn from them help control costs and expenses, inventory levels, cash flow and accounts receivable. The income statement shows total sales, direct costs, operating expenses, and profits within a period. Prepare this statement on a comparison basis to get the most value from it. Last year's income compared to this year's will reveal the good and bad trends in the business and the increase or decrease in volume, expenses, and profits. The statement of cash flows, which is often wrongly excluded from the set of financial statements, is in many ways the most valuable report you can have. Control of cash in the construction business is crucial to success. Many builders have problems in this area, and poorly designed cash procedures or lack of cash flow planning altogether can cripple an operation. To build an accounting system that provides accurate financial statements, you need both documents and procedures that run smoothly. Otherwise, the office bogs down in its own paperwork, and nothing is completed in time to be of use. And the accuracy and availability of information suffers in a poorly-designed accounting system. 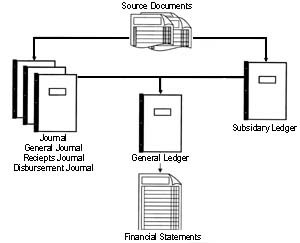 Figure 1-3 summarizes the relationship between the various reports, controls, and documents contained in an accounting system. Understanding this relationship helps a builder appreciate the value of his double-entry system, and the management benefits derived from a well-organized and thought-out operating plan. Source documents - invoices, purchase orders, and receipts - must be handled efficiently to support the accounting journals and ledgers. Filing systems and methods for labeling and identifying source documents must be practical and time-saving. The general journal must be controllable and concise. The cash receipts and cash disbursements journals that support it verify the math, report information legibly, and provide the detail needed for analysis of accounts. Many secondary systems are required to control the general ledger accounts. Among these is a subsidiary control for accounts receivable. Most builders transact a large volume of business on credit. You must be able to render accurate statements to customers, control the level of receivables and bad debts, and set up reserves for future losses. The general ledger is a summary document containing the least amount of information needed to produce maximum insight from financial statements. At first glance, the double-entry system seems awfully complex. But if you relate to the results rather than the mechanical processes, it gets clearer. However, you need to control those processes in order to produce concise reports. Without controls, no system of keeping books will yield a dependable, accurate, and profitable financial statement. And you can't make profitable decisions based on misleading information. The terminology of accounting can be confusing and misleading. Unfortunately, accountants and others who work in the field must, from necessity, communicate in the common language of accounting. Don't let this alienate you and keep you from fully understanding the meaning of your own books and records. This book has been designed to introduce concepts that are useful in a practical way. Whenever possible, we've avoided specialized terminology that could confuse and mislead the reader. You're interest- ed in understanding accounting from a builder's point of view, not from an accountant's. This text is not intended to train you to become a full-charge book- keeper, but rather a well-rounded builder whose success is enhanced by his accounting system. For students and teachers, or builders who want to check their understanding as they go along, this new edition includes a self-test section at the end of each chapter. Test yourself, then check the answers in the back of the book to see how you did. Michael C. Thomsett has been a consultant for numerous construction and engineering firms over the last 20 years, specializing in introducing practical business systems for builders and contractors. He is the author of 48 books on business and finance, and more than 500 articles in national trade and business magazines. His other books for builders are Builders Office Manual, Bookkeeping for Builders, Contractor’s Year-Round Tax Guide and Contractor’s Growth & Profit Guide.